Marilyn is on the faculty of the Rudolf Steiner School in Manhattan, the first Waldorf school in North America. 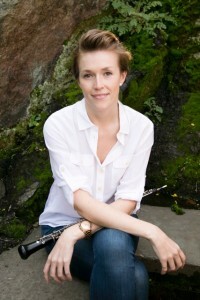 There she teaches group oboe lessons, private oboe lessons, recorder classes and woodwind classes. Marilyn is also currently a musical consultant and oboe coach on the Amazon Prime show, Mozart in the Jungle. Her recordings can be heard during the episodes as well. Read about Cole’s work on Mozart and the Jungle in the New York Times article. She has taught in El Sistema based music programs in New York City and coaches chamber music groups. 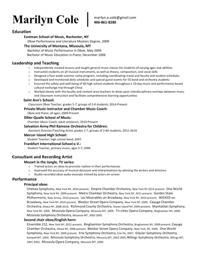 She teaches private and group lessons for oboe students and beginning piano students.